Brian Poole, Alan Blakley started the Tremilos (the original Tremeloes) in early 1958 while still at School. This was the age of Rock & Roll, and friends wanted them to play at small venues and cinemas asked them to play during the intervals between films. Playing their predominantly Buddy Holly & The Crickets set, with Brian Poole wearing his glasses, they soon had many local fans and word spread further afield. Almost before they realised it, they became one of the top dance hall attractions in Great Britain. Alan Blakley, Dave Munden and Brian Poole found that they could harmonise any song beautifully, so developed a style of their own, with all members sharing vocals. Dave, Brian and Alan were also used as a backing vocal session group by Decca Records on many hit records of the time, including Tommy Steele, US Bonds and the Vernon Girls, amongst others. In 1960 they were signed to Decca Records, who notoriously chose them over The Beatles, whom they had auditioned on the same day. They first charted with a version of ‘Twist and Shout’ (No. 3 in 1963), which owed much to the Beatles' version, followed by a chart topping cover of The Contours' U.S. million-seller ‘Do You Love Me’ (No. 1 in the same year). Their covers of Roy Orbison's B-side, ‘Candy Man’ and The Crickets' B-side ballad, ‘Someone Someone’ entered the UK Singles Chart Top Ten in 1964, with the latter peaking at number two. Brian Poole parted company with The Tremeloes in 1966, however they continued their successful hit run with Cat Stevens' ‘Here Comes My Baby’, ‘Suddenly You Love Me’, ‘Hello World’, and ‘My Little Lady’, and their enduring cover of an old Four Seasons' B-side ‘Silence Is Golden’. Tonight’s concert sees Brian Poole, Len “Chip” Hawkes and Dave Munden taking you back to the Swinging Sixties, in a great evening of nostalgia. Brian Poole and The Tremeloes play The Apex on Sunday 25 June at 7.30pm. 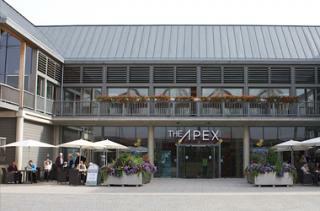 Tickets are £21, ring the Box Office on 01284 758000, or visit www.theapex.co.uk for more information, or to book your tickets.